Canadian travel companies, including ours, have been very busy over the past few months. With Canada celebrating its 150th birthday this year, resulting in free entry into all National Parks here, combined with the weak Canadian dollar as well as Canada being seen as a safe country to visit, we are seeing record visitors in 2017. There is no better time to come and visit our magnificent country and join in with the 150th birthday celebrations. However, due to the popularity we are seeing some hotels and rail dates now completely sold out which, if you have set dates in mind, is proving to be quite disappointing, as not all the guests booking this late into the season will be able to secure rooms in the best hotels. If there is availability, then you will receive a FREE hotel night when you book a 2017 Rocky Mountaineer package of 4 of more nights, but this offer does not hold a candle to those who are now booking their 2018 vacation this far in advance. If there is one thing our guests have learned from the 2017 season, it is that booking far in advance gets you the best rates and deals, as well as availability at the best hotels. For a deposit, you can lock in the 2018 dates you want, at the best hotels and receive the best deals. Rocky Mountain Holidays have just updated their website to include all of the 2018 Rocky Mountaineer Vacation packages. We are very excited about the addition of the “Culinary and Adventure Packages“. These packages have been introduced based on customer feedback and are to appeal to foodies and the more adventurous types – we think they will be very popular indeed! Any operators trying to mimic a Rocky Mountaineer package can no longer do this as they can not use the above trade-marked terms in their package names. We welcome this change as it ensures guests know that they are booking a genuine Rocky Mountaineer package, and not a trimmed down inferior product. With our Canadian dollar so weak, you can now book your trip of a lifetime for less than you think. With a weak dollar, travelling outside of Canada is expensive for us Canadians, so we are finding many Canadians are now exploring their own country with a good old “staycation”. It is a great time to travel in Canada, no matter where you are from. 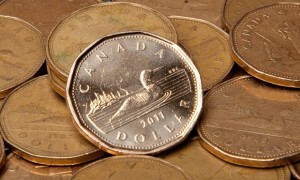 The Canadian dollar has weakened significantly against other major currencies. Have you travelled with Rocky Mountain Holidays or onboard the Rocky Mountaineer train? Share your experiences with us below! Rocky Mountaineer 2013 packages are now available to book with Rocky Mountain Holidays. For 2013, there are less vacation package options due to the fact that a lot of packages can easily be customised making some of the current 2012 packages redundant. 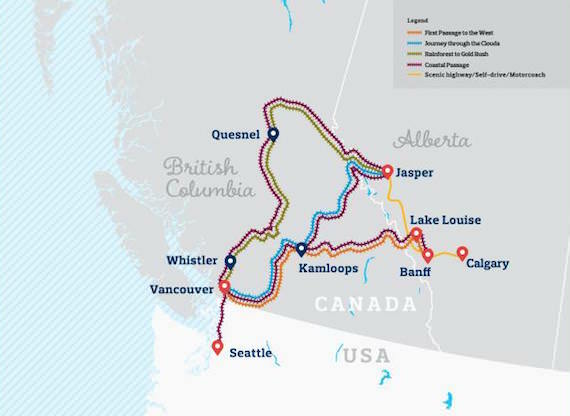 The most exciting addition is the new Coastal Passage Route from Seattle which connects to Vancouver then onto Banff or Jasper in the Canadian Rockies. There is currently only one departure date set in August 2013 which means that this debut route will likely book up quite early. Motorcoach transfers will be available to and from the Fairmont Chateau Lake Louise, and are included on all packages except 2 day rail-only. For guests departing from Lake Louise, please note that all check-ins will be at the Fairmont Chateau Lake Louise, and NOT on the station platform or at the station itself. After the successful introduction of the onboard SilverLeaf service in 2012, the Rocky Mountaineer will also be offering this service on the Vancouver to Jasper two (2) day “Journey through the Clouds” route. SilverLeaf service will not be available onboard the Rocky Mountaineer route between Whistler and Jasper in 2013 and could potentially be introduced in 2014. For the most luxurious accommodation option, this has been rebranded as “GoldLeaf Deluxe Service”. This allows us to book more than just Fairmont properties, such as the Four Seasons brand in this deluxe accommodation category, without conflicting with the Fairmont branding. Cruise terminal transfers will be included with all Rocky Mountaineer rail and cruise packages in 2013. Other than on packages connecting to Coastal Passage route, Holland America’s Oosterdam cruise from Seattle up to Alaska has been removed in 2013. The Rocky Mountaineer city stops will not be available in 2013. Rocky Mountain Holidays now have all of the 2013 Canada rail vacation packages for download along with early-bird pricing and promotions. Thanks for reading and don’t hesitate to message us direct with any questions you may have. For reservations, we recommend you book direct with Rocky Mountain Holidays, an A+ rated business with the Better Business Bureau (their highest rating) and licensed with Consumer Protection BC for financial protection. The award winning Rocky Mountaineer train tour across the Canadian Rockies is on most of your bucket lists. If you are flexible on dates and are able to travel later this month or in May 2012, you must check out the following exclusive GoldLeaf offers on select dates from Rocky Mountain Holidays. The savings are significant. For your convenience, I have posted the eligible dates below. These offers are strictly capacity controlled and so will not be around for long. For more information call freephone North America on 1-888-PH-ROCKY (74-76259) and press option 1. Outside of North America you can call freephone from the U.K. on 0800-567-7542 or long distance from all other countries +1 403-609-0286 and press option 1. WHISTLER, BC July 29 , 2010 – The world saw Whistler go off this February, and that spirit and vibe will be back in full force with Whistler’s other big event, Kokanee Crankworx. With a sporting event roster matched by none, Kokanee Crankworx throws down huge in the special events department to keep the energy and excitement flowing day and night. First up to kick start the biggest mountain biking festival on the planet is the Block Party. This community event is free for all participants and will take place in Skier’s Plaza and the Boneyard. The tenth anniversary of bike movie mavens Freeride Entertainment will be celebrated with a showing of their first film, New World Disorder 1. This movie epic played a huge part in bringing the sport of freeride mountain biking to where it is today. Huge outdoor screens, prizes, interviews from the original crew and a few surprises will make the Block Party an incredible all-ages launch for Kokanee Crankworx. The party will continue for those of age at the GLC with Metallica cover band Damage Inc. The $5 cover includes a live feed of the Block Party inside, great views of the action outside, an epic after party with Damage Inc and, of course, ice cold Kokanee will be flowing all night long. Drawing its name from the Japanese term for the sound of “chit chat,” Pecha Kucha will open minds with an eccentric mix of Whistler locals presenting stories and photos. Each presentation will move through 20 images shown for 20 seconds each. Current presenters include Tyler Schramm, Schramm Vodka; Rick Harry, Aboriginal Artist; Keith Reynolds, Playground Builders; Robin O’Neill, Photographer; Peter Alder, Ecosign Mountain Resort Planners; Leslie Anthony, Writer, Paula Shackleton, Bookbuffet; and Carla Gutierrez, Fitness Model. Tickets are $7 at the door or at Hot Buns Bakery. The Saint Deep Summer Photo Challenge is back for 2010 with an unbelievable list of confirmed photographers. Paul Morrison, Sven Martin, Nicolas Teichrob, Jordan Manley and two wildcard photographers, Steve Lloyd and Adrian Marcoux will work against the clock to create a slideshow from images shot over three days in the Whistler Mountain Bike Park and on Whistler’s cross-country trails. Each show will be presented to a live audience of over 1,000 at the Fairmont Chateau Whistler. Tickets are $17 and on sale now at Whistler Blackcomb Guest Relations. The Deraylor Music Festival takes place August 11, 12 and 13 with the Deraylor wristband granting access to more than 40 artists in six venues over three days for only $40. Venues include the Garibaldi Lift Company, Garfinkel’s, Maxx Fish, Merlin’s, Moe Joe’s and Tommy Africa’s. The current Deraylor line-up includes strong talent such as DJ Nu-Mark (from Jurassic Five), Mike Relm, BCDC, Fort Knox Five, DJ Jelo, Marcus Visionary, Said the Whale, Hannah Georgas, Mishka and illScarlett and many more. The first 100 tickets sold online will also receive access to the exclusive Kokanee Silent Disco party at the GLC on Saturday, August 14. Admission to all shows is through a $40 Festival wristband only, and are subject to age (19+) and capacity restrictions. Visit www.deraylor.com for all ticket and event information. We are not even into August 2010 yet and the rates have been released for all Rocky Mountaineer Train and Cruise Holiday packages for 2011. They have kept most of the packages the same as 2010 but have added an Alaska cruise from Seattle onboard Holland America’s ms Oosterdam to seven of their existing popular 2010 train holiday packages. Alaska cruises from Vancouver for 2011 are still onboard the Holland America’s ms Zuiderdam, which, in our opinion, has to be one of, if not, the best cruise ship sailing up to Alaska from Vancouver, Canada. Below are the new 2011 Rocky Mountaineer train holiday packages with the Seattle cruise add-on. The links are to PDF documents on RockyMountainHolidays.com. 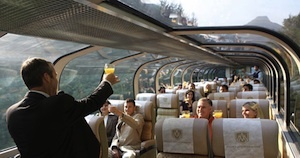 There have not been any major changes to the 2010 Rocky Mountaineer packages for 2011. Any changes are “tweaks” to already very popular and exciting train holiday packages. RedLeaf Service pre- or post-cruise tour packages now utilize Ocean- View Staterooms (Category D). GoldLeaf Service pre- or post-cruise tour packages continue to use Deluxe Verandah Ocean-View Staterooms (Category VC). Classic Rail Circle now has an additional pre-night in Vancouver plus a six hour sightseeing tour of Vancouver’s spectacular North Shore. Canadian Rockies Highlights now has an additional pre-night in Vancouver plus a six hour sightseeing tour of Vancouver’s spectacular North Shore. 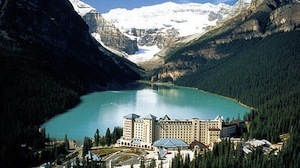 Canadian Rockies Highlights – 5 nights is also available; this is the same as the 2010 Canadian Rockies Highlights. Canadian Rockies Circle is now 9 nights in duration instead of 12 nights. The westbound itineraries of Trans-Canada Rail Adventure, Canada’s Coast to Coast by Rail, and the post-tour cruise options of these packages now include 2 nights in Jasper plus a Jasper highlights motorcoach tour, but only one night in Lake Louise. City Stop add-on products are able to be sold independently, with rail-only, or in conjunction with any Rocky Mountaineer packages. Please note that transportation to/from the station or airport is not included in any City Stop packages. Taxi transfers to/from cruise terminals in Vancouver are no longer included. Travel documentation will advise of estimated taxi transfer rates, and limousine transfers available for purchase. 2010 Classic Rail Holiday – Whistler to Jasper (3 nights / 4 days) Holiday has been replaced by Canadian Rockies and Whistler which is 4 nights / 5 days (includes a night in Vancouver and the Whistler Sea to Sky Climb). 2010 Canadian Rockies and Vancouver has been discontinued. New for 2011, Rocky Mountaineer holiday packages now include rates for youths (ages 12-18) and children (ages 2-11) when travelling with at least one single adult guest. The published child and youth prices will apply for a maximum of 1 child or youth sharing with 1 adult. 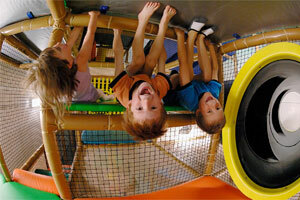 Parties of 1 adult and 2 or more children/youths will have to be booked with a minimum of 2 adults. It is not possible to book a single room with more than 2 persons sharing. These are all the changes to the Rocky Mountaineer Holiday packages for 2011. Rocky Mountaineer package information which include cruises up to Alaska from Vancouver or Seattle can be all found at RockyMountainHolidays.com. You can view all the latest Rocky Mountaineer early-bird deals there too. The Rocky Mountaineer® Train offers spectacular rail journeys across Western Canada in the spring, summer and autumn months. The Rocky Mountaineer® train operates through the Canadian Rockies in either direction to Vancouver from Calgary, Banff or Jasper and also to Whistler from Jasper. The train only operates during daylight hours to maximise your viewing experience and pleasure. The Whistler Mountaineer™ train now known as the Whistler Sea to Sky Climb, is a three-hour experience connecting North Vancouver and Whistler which allows you to take a complete rail loop from Vancouver, Whistler and Jasper. Make sure you make your holiday in Western Canada a Rocky Mountaineer Holiday. With the introduction of the new Harmonized Sales Tax (HST) in British Columbia, Rocky Mountaineer Holiday packages will increase by up to 7%. For those of you who are planning to book your holiday in Canada, or are about to book your holiday, be sure to read the following as you could save up to 7%. If you book and pay in full by the end of this month (April 2010), then you will only have to pay the standard Federal goods and services tax (GST) of 5%. The Province of British Columbia, Canada, has tabled legislation to introduce a Harmonized Sales Tax (HST) on goods and services, effective July 1, 2010. This tax will merge federal (GST) and provincial taxes (PST) into one single amount, the HST and will, unfortunately, increase the cost of your Rocky Mountaineer® Holiday by up to 7%. The HST applies to all Rocky Mountaineer bookings with travel dates beginning in Canada after July 1, 2010. Transitional rules allow bookings made prior to May 1, 2010 to be taxed under the old GST rules if the payment is due and paid for by April 30, 2010. Transitional rules allow bookings made prior as of May 1, 2010, for travel before July 1, 2010 to be taxed under the old GST rules. The changes required to comply with the new HST will result in tax increases to an effective rate of 8% – 11% for Rocky Mountaineer bookings. Please note the following exceptions: Whistler Sea to Sky bookings all have a 12% tax rate, bookings with a cruise or VIA Rail component will have a tax rate determined by the originating province of the trip. 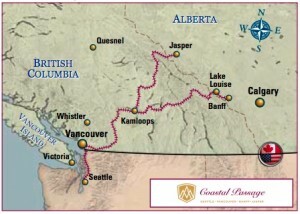 Please visit RockyMountainHolidays.com for more Rocky Mountaineer Tax Information. Please note that the Banff Douglas Fir‘s in-house waterslides will be shut down for one week due to regular maintenance. In order to minimise the disruption they have chosen the shutdown to occur Sunday April 25th at 9:30 PM after their regular closing time. The slides will re-open on Friday April 30th at 4 PM, just in time for the weekend! While the waterslides are closed for maintenance, the Douglas Fir Resort will have the playzone, amenities, pool, saunas, jacuzzi, tennis/basketball courts, fitness room and barbeques all open for your convenience. The Banff Douglas Fir Resort is perfect for families and we are currently offering an early-booking discount of up 30% OFF for summer 2010 bookings. Some restrictions (but not many) apply! We are pleased to announce that we have finally added the Banff Douglas Fir Resort to our website. 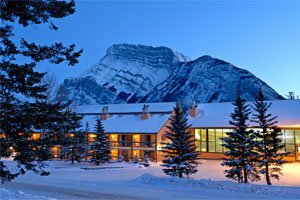 Although we do not list all our hotels on our site, we believe that the Banff Douglas Fir Resort is one of the best family accommodations in Banff and definitely worth considering. We are also offering a “kids ski free” promotion as part of a ski package in Banff as well as additional early bird savings. This saving apply to Banff Norquay, Lake Louise and Sunshine Village ski resorts! Contact rocky-peak Ski Holidays now, for more information on the 2008/09 winter ski package promotions!